Plans & Prices for property owners. We design Wotusee around u! List your unique property on the Wotusee’s “Stay unique” website FREE OF CHARGE and receive bookings. (Wotusee connects you and your customers directly). 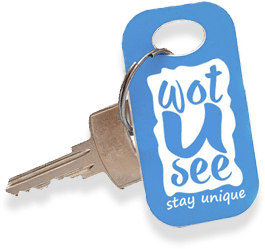 List your unique property on the Wotusee website FREE OF CHARGE, and receive bookings. We’ll provide you with all the ‘white label’ code you need to have an online real time booking function on your own website! Because your allotment is available in real time to your customers, the amount of "enquiries" is dramatically reduced. Currently if you want to be visible on more than one website, you can only have your allotment available on one website and make the other listings "enquiry only". Control the booking process in a single place. This can be used by a property manager to deal with multiple properties to save money through economies of scale on one sign-on with all the properties linked to it. So rather than pay $19.95 per property, property managers can choose the level that suits them below and as the business grows they can increase to the next level. Get Wotusee FREE for 6 months. We're so confident Wotusee will transform the way you promote and manage your property investment – and your bottom line - we’re offering you a free 6 month trial so you can experience just how easy, intelligent, cost-effective and empowering it truly is. Simply click here to create your listing!